In October, WorkBoat named its 10 Significant Boats of 2017. This year’s list was dominated by tugs — five of them were selected, including The Great Lakes Towing Company Tug CLEVELAND. 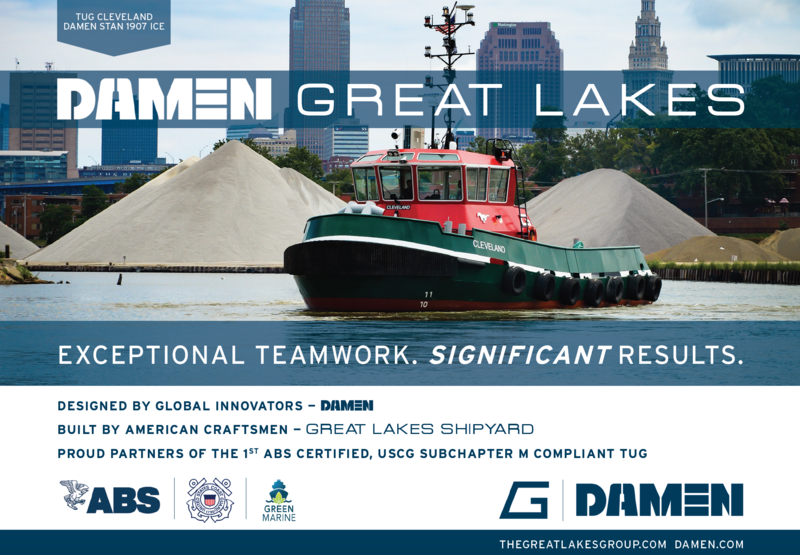 The Great Lakes Towing Company’s Shipyard, known as Great Lakes Shipyard, proudly launched the Tug CLEVELAND at The Company’s headquarters on May 25, 2017 and the Shipyard delivered the tugboat to The Towing Company on June 30, 2017. 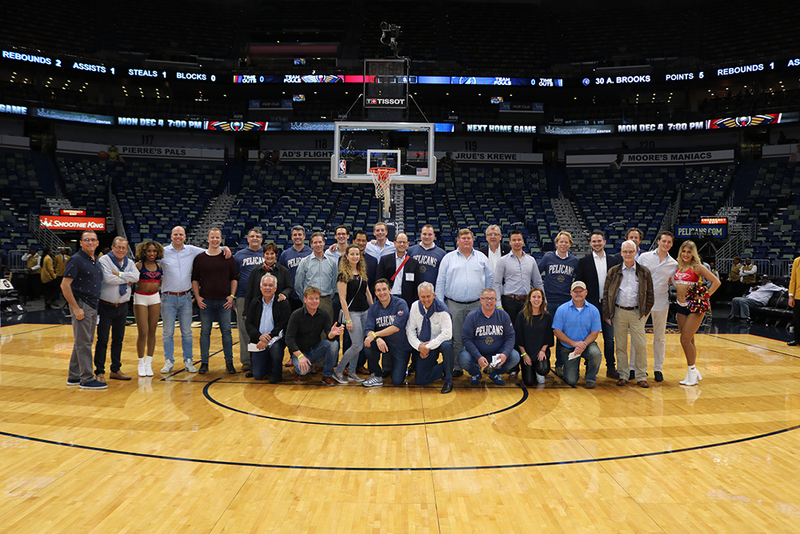 Featured in Photo: The Great Lakes Towing Company & Great Lakes Shipyard with Damen and friends at NBA Pelicans basketball game in New Orleans, Louisiana during the 2017 WorkBoat Show.